The Ultimate Camping Dinner – a Hobo Dinner! 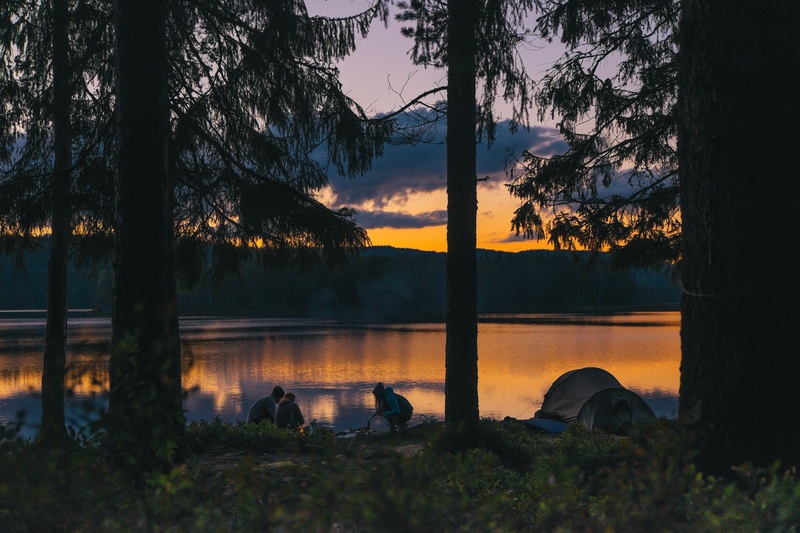 Admit it – one of the first things you think of when planning a camping getaway is the food. You envision the moment when the sun is getting low in the sky and everyone’s belly is rumbling. But what to make? Don’t worry, we’ve got the most tried-and-true, I’ll-never-be-hungry-again camping meal you’ll ever eat. Be warned though, because it smells so good while cooking, you may end up feeding a few of the neighbors. Best of all, it’s extremely easy. When the sun is getting low in the sky and everyone is getting hungry, what are you going to make for dinner? This recipe is such a favorite in our family, that it’s been cooked around the campfire (and on the grill) for five generations now! Best of all it is easy, nutritious, and fun to make. Each person can make their own dinner just the way the want it, and just the size they want it too. Plus, it’s the perfect way for little brothers and sisters to get involved in the fun. 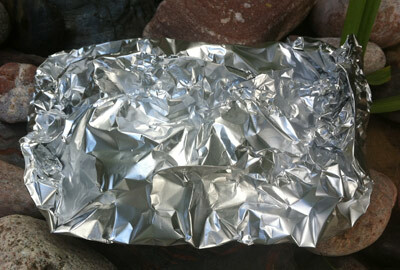 Cut a 12-inch section of tin foil and spray one side with cooking spray. Place about a handful of potatoes, a ½ handful of onions, and a ½ handful of shredded carrots. If you want to, you can add another handful of any type of vegetable you’d like. Some of our favorites are mushrooms and sweet potatoes. (Yes Sweet Potatoes!) Season the vegetables with salt, pepper, and a little garlic (Or use seasoned salt.) Top with a tablespoon of butter. On top of the vegetables place a hand-sized portion of ground beef. Season the ground beef with additional salt, pepper, garlic OR seasoned salt. Lift the ends of the tinfoil up until the meet in the middle. Roll up the ends to form a pouch and seal the contents inside. (It kind of looks like a pastry.) Cut another piece of tinfoil slightly larger than the first one, and double wrap your dinner. This will prevent it from being punctured. Place your Hobo Dinner on a grate over the campfire or place it in an empty coffee can in the embers. Cook it for 30 to 60 minutes or until the meat is cooked and the vegetables are tender. To see if your dinner is ready, carefully remove your tinfoil pouch from the fire using tongs or spatulas. VERY carefully open the sealed tinfoil using a fork so that you can allow the steam to escape without burning your fingers. Test the softness of the potatoes and carrots. When they are nice and soft, you’re ready to dig in! If only you could smell how good this dinner is! Serve with ketchup for the most satisfying and hearty campfire meal there is! For the latest in camp cooking utensils and gear, visit jmcremps.com/camp-cooking.